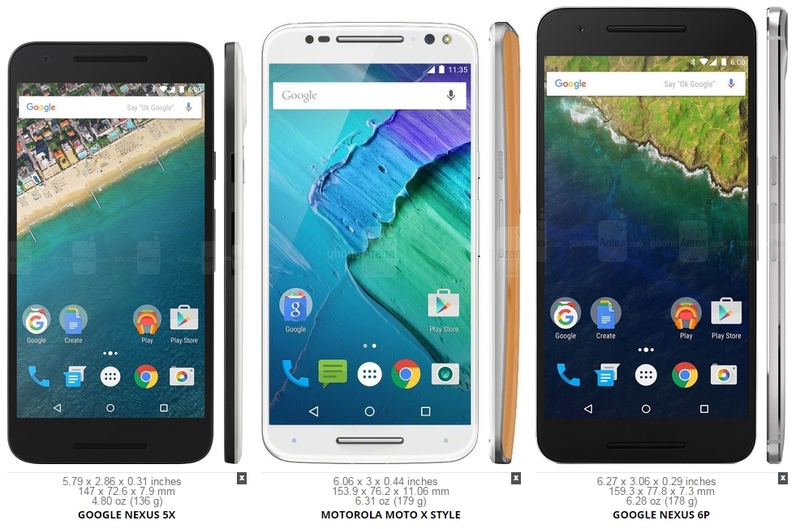 Moto X Pure Edition/Moto X Style vs. Nexus 5X: who ya got? Of the two I prefer the Style. Bigger screen, bigger battery and until at least tomorrow we won't know anything about the 5X's camera quality - so inclined to go with the known quantity there. I also love my leather back and a bit more stylized device. The other major differentiator: the MXPE has a 64GB version which is absent from the 5X so far. Disclaimer: I don't care about fingerprint scanning at all - so if that were important, that may swing the vote the other way. Two words: Motorola Radios. I stayed last night in a place that historically for me has had spotty LTE on Verizon. Was not a problem last night on the MXPE. I think for me, the only thing the Nexus 5X has over the Moto X Pure Edition/Moto X Style is the physical size. to clarify, what is the difference between the X Pure Edition and the Moto X Style?